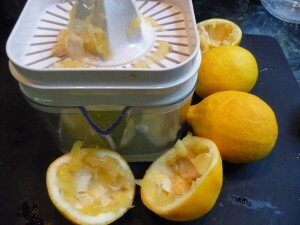 I have an abundance of Meyer lemons year-round on my trees in Northern California. 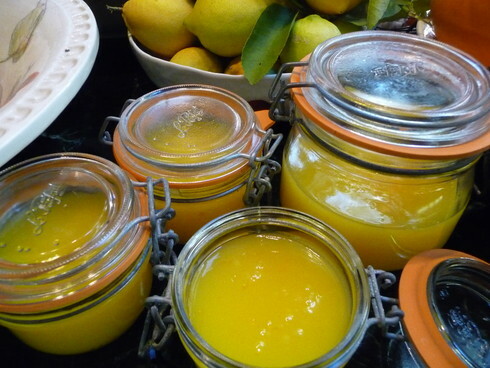 One of my favorite ways in which to use them is in tangy and sweet Meyer Lemon Curd. This curd is so versatile. I like to serve it with biscuits and scones. And my neighbors love it when I make Meyer lemon tartlettes. 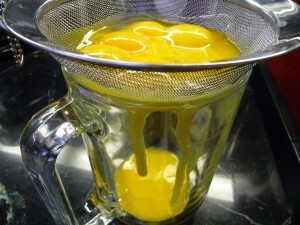 Beat the eggs yolks slightly and pass them through a sieve. 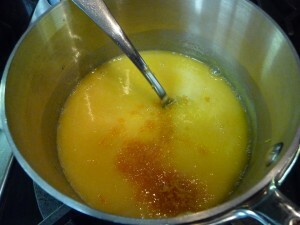 Combined the sieved egg yolks, lemon juice and sugar in a medium-sized saucepan and mix well. Cook over medium heat, stirring constantly, until the mixture thickens and coats the back of a spoon – about 10 minutes. 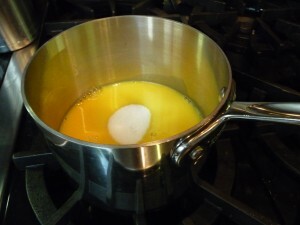 Note: Don’t let the mixture reach a boil, as the eggs will scramble. Remove the egg mixture from the heat and add the cold butter, one piece at a time, whisking well to incorporate before adding the next piece. 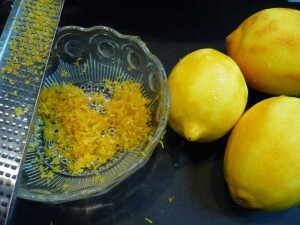 When the butter has all been incorporated, add the lemon zest and stir to combine. Chill for at least two hours, tightly covered, before using. Makes about 1 1/2 cups. Will keep in the refrigerator, tightly covered, for up to a week. Wow, loved that lemon curd. Now that I’ve tested it, I plan to include it in a dessert for New Year’s Eve. yum, yum, yum! I know exactly what I will be doing with my bag of lemons!